Project director Richard Noble with the Bloodhound SSC in 2015. 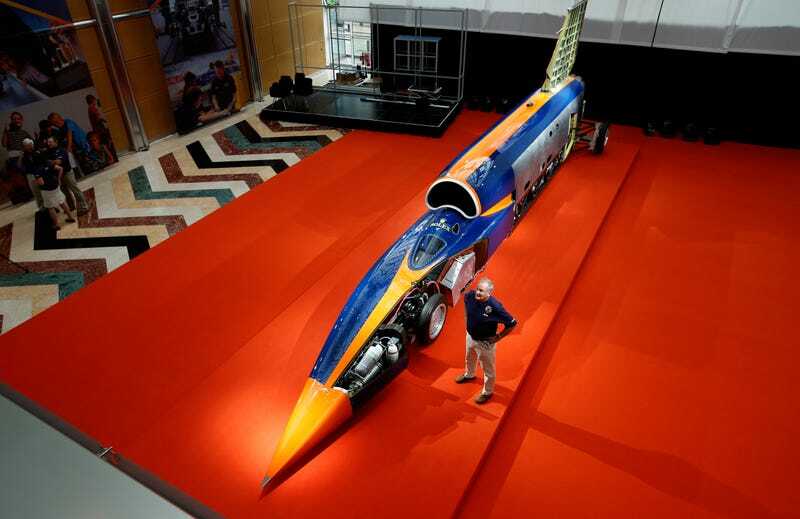 Some sad news this morning for those who appreciate pushing the boundaries of science in pursuit of speed: the Bloodhound SSC project, a rocket car that’s been aiming to hit the 1,000 mph land record for years now, is dead. The project had been strapped for cash for some time and now won’t be moving forward after being unable to secure a large investment. This news comes to us from the UK’s Sky News and the BBC, which report that the £25 million investment sought by the project didn’t come through, forcing it into closure. The additional money would have been used to take the jet-powered vehicle to the next stage of its development, including trials at 500mph, 800mph and finally 1,000mph. But joint administrator Andrew Sheridan said on Friday: “Since the company entered into administration we have worked tirelessly with the directors to identify a suitable individual or organisation who could take the project forward. “Despite overwhelming public support, and engagement with a wide range of potential and credible investors, it has not been possible to secure a purchaser for the business and assets. Sheridan told the news outlet that the remaining assets of the project will be sold to pay off creditors and that third-party equipment will be returned. The project originated in the mid-2000s with two land speed record veterans at the helm, Richard Noble and Andy Green, the latter of whom was a Royal Air Force fighter pilot and drove the first supersonic car. 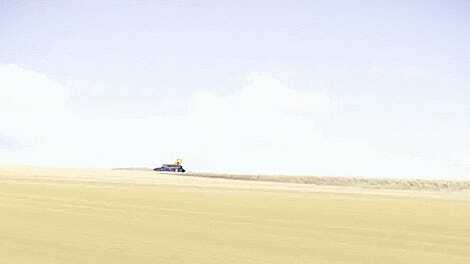 Funded through corporate sponsorships and donations, the “car” had a Rolls-Royce Eurofighter jet engine strapped to a rocket and aimed for an unprecedented 1,000 mph on land. It had been slowly inching toward that, reaching speeds of 200 mph in testing in 2017. The last two-to-three years have been an especially tough environment in which to raise financial support. The investment landscape is difficult, in part because of Brexit uncertainty, but principally because many large brands that might once have put their name on the side of a car to build awareness are now using other marketing tools, such as social media. I’m sad to see this happen, but I have a feeling it’s not the last we’ve seen of Noble and Green.